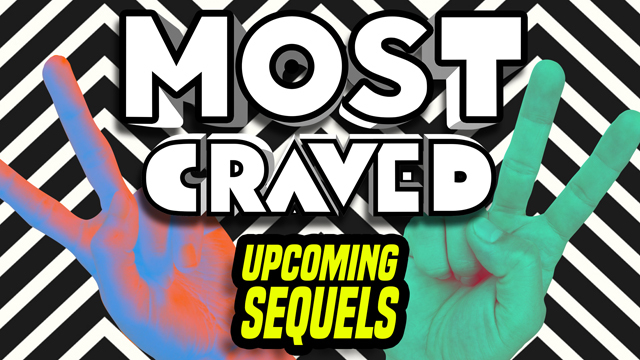 Movie Sequels are Everywhere on This Week’s Most Craved! From Batman v Superman: Dawn of Justice to Prometheus 2 and beyond, it’s movie sequels galore on this week’s Most Craved! It’s movie sequels, movie sequels and more movie sequels on this week’s Most Craved. In the player above, you can check out the 70th episode of our weekly discussion series where we’re chatting about Batman v Superman: Dawn of Justice, Prometheus 2 (and maybe 3 and 4) and the potential for another Blade film from Marvel. Earlier this week, Zack Snyder said that Batman v Superman is more a Man of Steel 2 than a Justice League prelude. However, it was just last month that Snyder revealed that the 2016 release is more a Batman movie than a Superman one. Should there also be a Man of Steel 2 on the way or is Supes better to save for crossover films? Elsewhere, Wesley Snipes has claimed that conversations have happened regarding his return as Blade the Vampire hunter. Would you watch more movie sequels continuing the adventures of Snipes as the Daywalker? How would you want Marvel to approach the property given that the original Blade films don’t exactly tie into the Marvel Cinematic Universe? Finally, it seems that we have quite a few Prometheus movie sequels on the way. In a recent interview, director Ridley Scott hinted that there may be as many as three additional Prometheus films in the works. Would you like to see more Prometheus films or would you rather 20th Century Fox put its focus on the planned Alien 5 that Neill Blomkamp has been teasing? Hosting this week’s movie sequels update are Jenna Busch of Legion of Leia, William Bibbiani of CraveOnline and our own Silas Lesnick. Don’t let the conversation stop with us! Let us know which of these movie sequels you’re interested in in the comments below. We’ve also launched the official Most Craved Twitter feed and we’d love it if you’d give us a follow! You can watch previous Most Craved episodes by clicking here and keep up with the latest TV news at our TV news page.